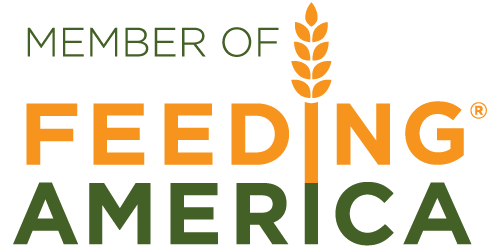 is a 501-(c)(3) and a member of Feeding America, the nation’s largest domestic hunger-relief organization. MANNA serves communities across 16 counties of Western North Carolina, providing food with hope and dignity to people experiencing hunger in our 6,434 square mile region. MANNA FoodBank was founded in 1982 by the Hunger Awareness Group in Asheville, North Carolina. Food distribution began in 1983 from donated space in the basement of Eliada Home for Children. The following year, MANNA distributed 42,000 pounds of food to 16 agencies. Now, MANNA distributes more than 42,000 pounds of food every day of the year. The founders of MANNA FoodBank had a clear vision: that the people of Western North Carolina can go to work or look for work, go to school, play, worship, and sleep without the burden of hunger. Since MANNA’s first food distribution in 1983, this has been the focus of our daily work. Our mission is to involve, educate, and unite people in the work of ending hunger in Western North Carolina, and our vision is a hunger-free WNC. MANNA now moves 50,000 pounds of food every day of the year through a partner network of over 200 agencies, stretching every resource to meet the growing need for food across our 16-county region of WNC. Sorry, your browser does not support embedded videos. Find out more about our operations and impact.